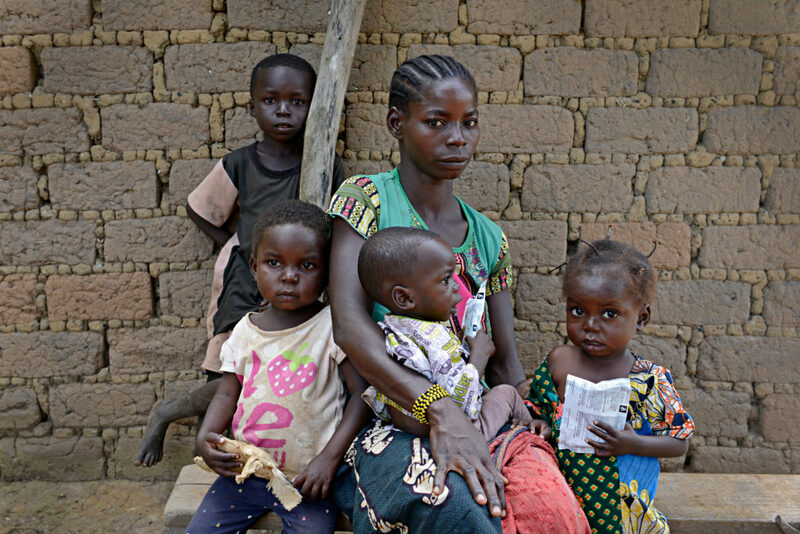 Since late 2012, the people of Central African Republic have suffered bouts of sectarian violence that have displaced over one million. As part of Concern’s new “Off the Grid” series, we’re bringing you the facts behind one of the world’s most underreported crises. Ever since gaining its independence from France in 1960, the Central African Republic has been plagued with political instability, underdevelopment, and waves of violent conflict. However, the sectarian nature of the current conflict is relatively new. CAR is home to both Muslim and Christian communities. Since independence, relations between these two groups have mostly been harmonious. Many towns and villages were mixed, and intermarriage was common. While people from both faiths live throughout the country, the north is predominantly Muslim and the south is mostly Christian. Since independence, the majority Christian population has generally held political and economic power. The Séléka, while a majority Muslim force, did not originally have religious motivations. Born in response to François Bozizé grabbing power in a coup d’état in 2003, the group, meaning “Union” in the Sango language, started fighting government armies in 2007. The ensuing civil war was resolved with peace agreements between the two groups that promised that the North, and particularly Muslims, would be better represented in the government — a promise that was largely unfulfilled. In December 2012 the Séléka launched a rebellion, partially supported by foreign interests eager to secure access to CAR’s natural resources. Even before the war, CAR was one of the world’s least developed countries, with little electricity or transportation infrastructure. By March of 2013, the rebels had captured the capital city of Bangui, and deposed president François Bozizé. Séléka leader Michel Djotodia then proclaimed himself President. Séléka troops spread throughout the country and widespread violence against civilians was reported. In response, the Anti-Balaka, predominantly Christian self-defense militias, formed. The situation quickly deteriorated, spiraling out of control throughout the country. At one time, almost half the capital’s population fled to informal camps and over 100,000 people took refuge in the city’s airport. Under international pressure, at the end of 2013 Djotodia stepped-down and a transition government was put into place. 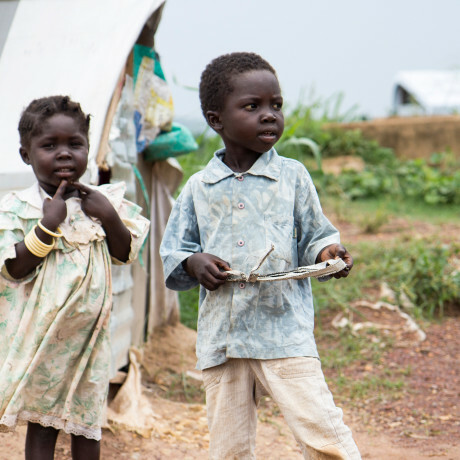 In 2013, violence exploded on the streets of Bangui, Central African Republic. Many of those fleeing the bloodshed ended up settling at the makeshift camp of M’Poko, on the grounds of the city’s airport. Four years later, despite peaceful elections and a democratically elected government, the situation remains volatile and armed groups are once again gaining strength and committing atrocities. Years of violence and instability have taken a heavy toll on CAR. Even before the war, CAR was one of the world’s least developed countries, with little electricity or transportation infrastructure. 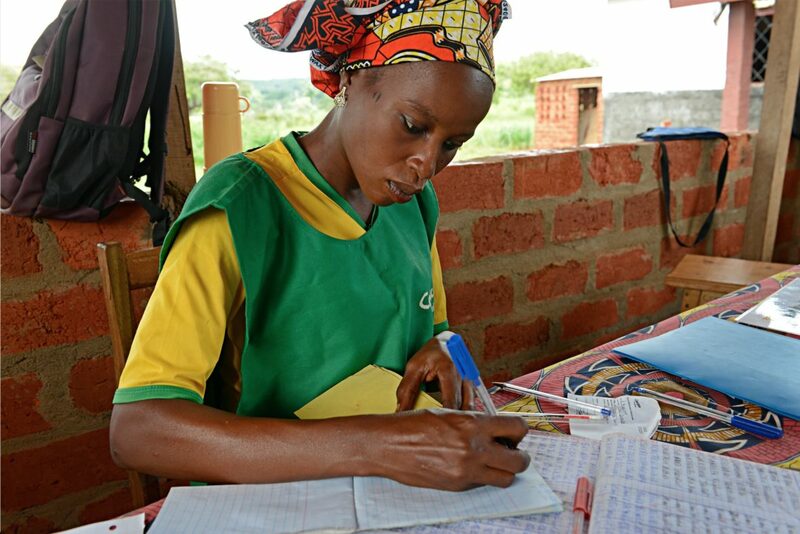 CAR has the highest number of maternal deaths in the world, and six out of 10 adults cannot read or write. Since the most recent conflict began, much of the little that existed has been destroyed and social services have broken down. More than three quarters of CAR’s working population relies on agriculture, but cycles of displacement have driven farmers from their land, leaving fields abandoned. Even when farmers return to their land, many do not have seeds to plant, or are reluctant to plant crops without a stable future to plan for. As a result, crop production has dropped by over half since 2013, food prices have soared, and almost half the population is without reliable access to food. Malnutrition rates in some areas exceed emergency levels. Escalating violence has made it increasingly dangerous for non-governmental organizations (NGOs) to work in the country. 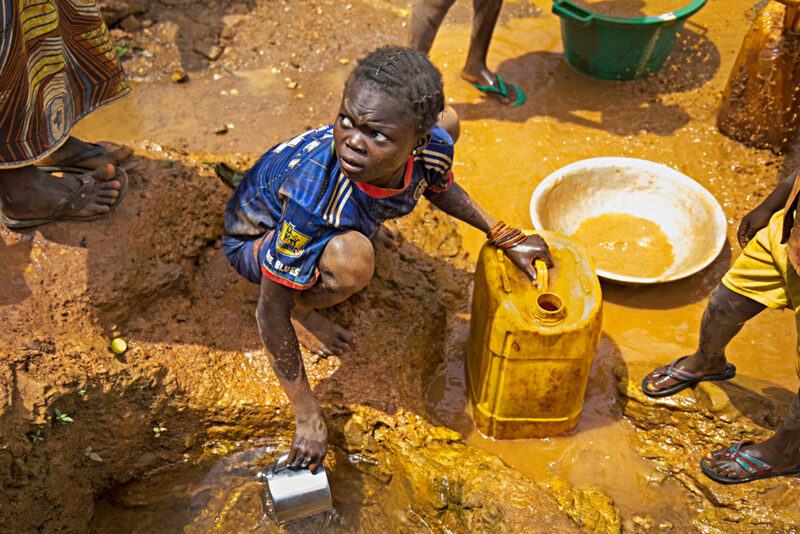 Safe drinking water is scarce, and proper sanitation scarcer. 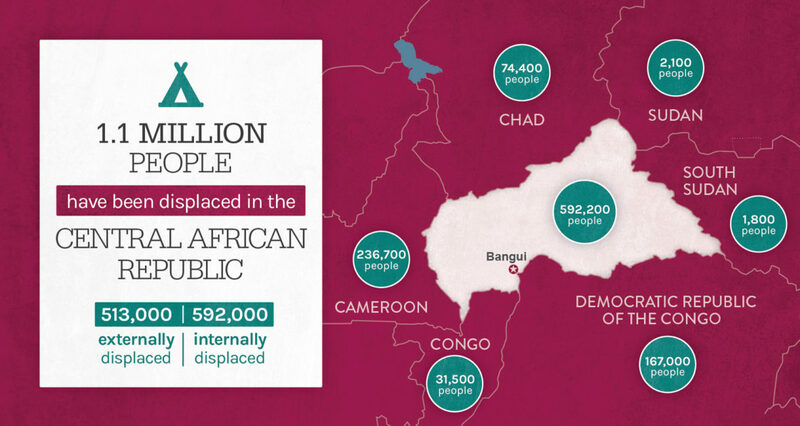 Over a million people have fled their homes: internally displaced within the country, or have become refugees in neighboring nations. Half the population needs humanitarian aid. However, escalating violence has made it increasingly dangerous for non-governmental organizations (NGOs) to work in the country. In recent months the UN has reported a marked increase in attacks on humanitarian workers, which has led some organizations to suspend operations or withdraw completely. Money is also an issue: the overall UN-led humanitarian response plan is less than 30% funded for 2017 despite growing needs. We’re reaching as many people as we can, but hundreds of thousands more need help. Together we can expand our life-saving assistance to off-the-grid communities in need.